Dr. Temkin has been my primary care physician for many years. His bedside manner is comfortable and it's easy to discuss health issues with him. The only thing I would like to see change is the 30 minute wait time before seeing the doctor. If you want to lose weight, I recommend using Dr. Temkin's LeanMD program. The program is the best I've seen and it worked for me. Very good experience. Dr. Temkin has always been very thorough and takes the time to go over all the test results and their meanings. He also spends time asking about what is going on in your life and any changes that may affect your health. Always there when I need him for close to 20 years! This visit was follow-up and planning for further treatment. Dr T. was fully informed prior to the exam and, as always, engaged directly and personally, taking extra time around a couple of questions. I'm always struck by the good vibe in this office. Long time patient of Dr. Temkin's. Always pleased with care received. Highly recommended to my friends. Doc and office, together and efficient. I am 79 years old and have been seeing Dr. Temkin for over 7 years. He is best General Practitioner I have ever had. He listens to issues and recommends healthy solutions. He is especially interested in keeping one healthy instead of "fixing" problem once it exists! A great first visit with Dr.Temkin. I am looking forward to the next visit. i ALWAYS HAVE A GREAT EXPERIENCE. FAST AND ALWAYS OUT IN A SHORT PERIOD OF TIME. STAFF IS ALWAYS FRIENDLY AND HELPFUL. I just switched to Dr. Temkin as my primary care physician. The staff and Dr. Temkin are very professional and courteous. I am so happy I switched over to him as my primary care Dr. Also, Dr. Temkin takes time to explain things and listen to your concerns and questions. always a 5 star -been going to dr. temkin for years & i will never go to any other doctor & his staff is so warm & caring just like dr. temkin !!!!!!!!!!!!!!!!!!!!!!!!!!!!!!!!!!!!!!!!!!!!!!!!!!!!!!!!!!!!!!!!!!!!!!!!!!!!!!!!!!!!!! Dr. Temkin as my primary care doctor for over five years has been exceptional in diagnosing and treating numerous medical problems I had over the years. He takes the time to explain things in ways you understand and listens to your opinions and concerns. 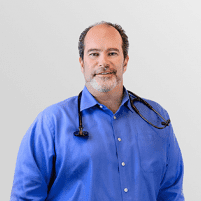 I feel protected, safe and secure having Michael Temkin as my primary doctor. I've been seeing Michael for about 15 years and have been very happy with his friendly and professional services. His office is equipped with the latest computers and data collection system. All information at the tip of his fingers, using his tablet, rather than looking through stacks of paper. Less chance of missing something important. The staff is always friendly. I would recommend Dr. Temkin to my friends if asked. Doctor Temkin is a wonderful person and nice caring physician. He understand the suffering and pain exactly what we are feeling and he can really heal. Thank you and your good staff. I am extremely satisfied. i think Dr. Temkin and his staff are tops. i love the program, i love the support and the kindness that comes along with the support. i have recommended Dr. Temkin to several people and will continue to do so.